Vibrant colors, daring designs, fabulous fashion, classy couture, scrumptious cuisine, and exquisite menus will once again light up Jakarta's fashion and culinary scene as the capital city is set to host the 15th Jakarta Fashion & Food Festival (JFFF) 2018 from April 5th to May 6th at the Summarecon, Kelapa Gading Center, North Jakarta. 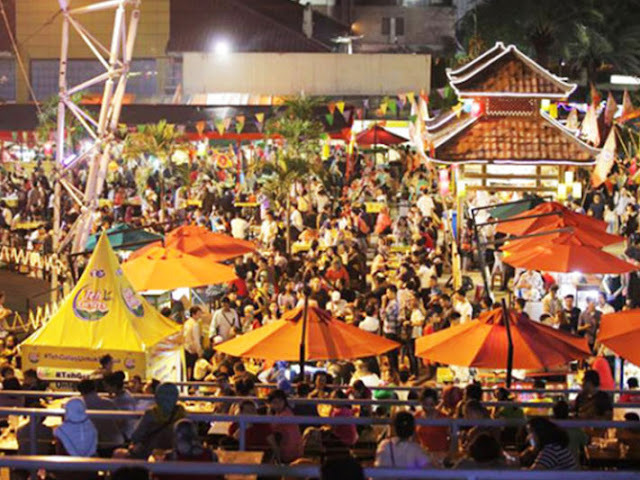 This grand festival will showcase the rich culture of Indonesia in its two main highlights: Fashion Festival and Food Festival. However, unlike two years ago, the spectacular Gading Nite Carnival, which was always an important part of the festival, will not take place along the Boulevard Street this year due to the construction of the Light Rail Transit (LRT) transportation system across the city. Instead, the opening of JFFF 2018 will be highlighted with spectacular fireworks show on Saturday, April 7th, 2018 at 08.00 pm. The Fashion Festival will display Indonesia's rich heritage in modern fashion design, presented in ready-to-wear collections by independent designers and upcoming designers from various fashion institutes, as well as haute couture by Indonesia's top designers. The Fashion Festival will take place on the catwalk of the Ballroom at Harris Hotel and Convention, as well as at The Forum at Kelapa Gading Mall, and in the Fashion Village Trade Show of JFFF. Among some of Indonesia's top designers who will showcase their collections are: Albert Yanuar, Andreas Odang, Ariy Arka, Danny Satriadi, Eridani, Handy Hartono, Kursen Karzai, Mel Ahyar, Stella Risa, and many more. Those who are interested in the fashion industry, be it in modeling, entrepreneurship, beauty care or cosmetics are invited to participate in the Gading Model Search, the Gading Model Search Kids, and the Next Young Promising Designers Competition. Furthermore, in appreciation to individuals and institutions who have greatly contributed to the growth of Indonesia's fashion industry, the Fashion Icon Awards will be staged as the finale of the Fashion Extravaganza series. 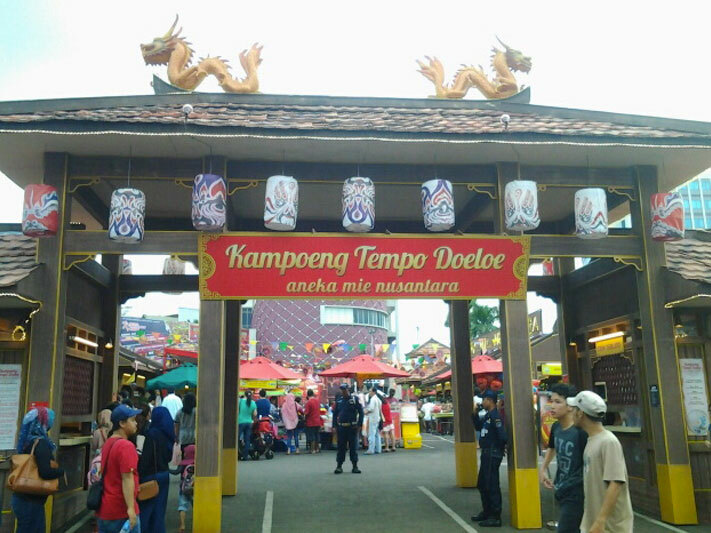 Highlighting the richness and diversity of Indonesian authentic cuisine, the food festival will take you on a mouthwatering journey across the archipelago through the Kampoeng Tempoe Doloe (Old Time Village), which will take place side by side with the international flavor of the Wine & Cheese Expo. This year, the Kampung Tempoe Doeloe (KTD) will be presented in a tropical garden-themed decor accentuated with various tropical plants and beautiful flowers. No less than 100 small and medium businesses, as well as various top culinary brands, will be presenting over 200 authentic Indonesian traditional menus in the festival. 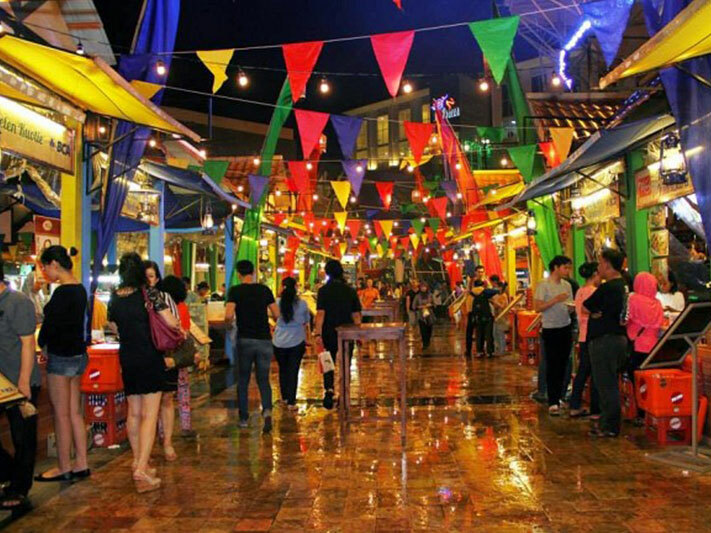 Foodies in search of the authentic Indonesian taste are in for a real treat. After the success of last year's 'Noodle of the Archipelago' competition, JFFF will again put a spotlight on one of most Indonesian popular dish; and this time, the spotlight turns to Soto or traditional soup made of broth, meat, and vegetables. The Soto competition is in line with the program of Indonesia's Board of Creative Economy to promote Soto to the rest of the world with its catchy tagline: 'A Spoonful of Indonesian Warmth'. The pre-qualifying round for the competition itself has started since late 2017. A team of experts had scouted for the best Soto in a number of cities including Solo, Medan, Makassar, Kudus, Semarang, and Surabaya. As many as 10 Soto chef were chosen to compete in this year's JFFF. As an inseparable part of the Food Festival, the Wine & Cheese Expo will also take place this year. The expo will deliver a wide range of high quality wines from various countries that include America, Argentina, Australia, Canada, Austria, Chile, France, Germany, Italy, New Zealand, Portugal, and South Africa. There will also be producers and distributors of famous wine and cheese products, as well as international culinary experts. You can enjoy wine and cheese tasting, and get good deals on any purchase of selected products.